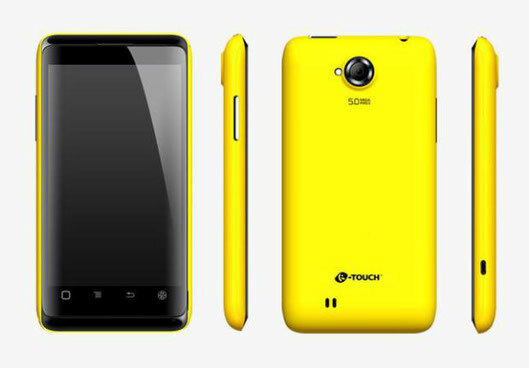 K-Touch Hornet Touch - a new flagship smartphone from the company K-Touch. K-Touch Hornet Touch is equipped with a 4-core processor Nvidia Tegra 3 with a frequency of 1.5 GHz, 1 GB of RAM and 16 GB of internal memory. IPS display diagonal of 5.7 inches, a resolution of 1280 × 720 pixels. The front camera has a 1 megapixel, rear - 8 megapixels with autofocus and flash. 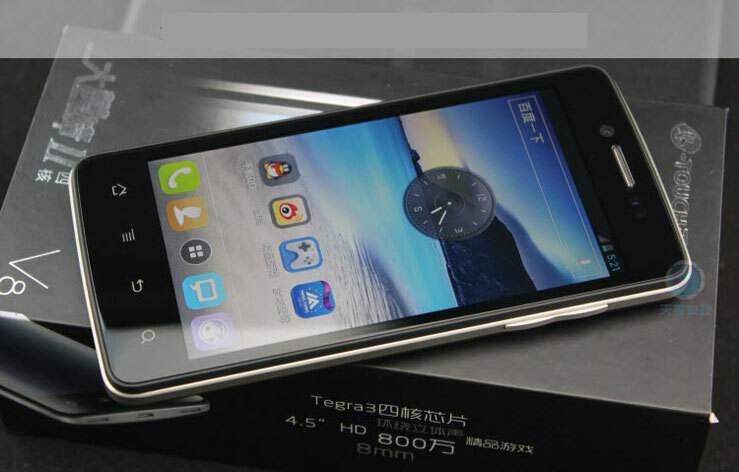 The smartphone is equipped with standard modules Wi-Fi, Bluetooth and GPS. Powerful filling K-Touch Hornet Touch is powered by a battery capacity of 2800 mAh, the body thickness is 10.8 mm. Is running Android 4.0 ICS. So do not let us down and GPU ULP GeForce, which consists of 12 cores. The smartphone has a 4.5 inch display with HD resolution 720x1280px. Two cameras: front 1.3mpx, and back in 8mpx, moreover, it supports video recording in Full HD resolution. The battery is good, its capacity 1800mah.